Just in case you missed this news, which I guess is unlikely, I wanted to mark this important landmark in history of British watchmaking. George Daniels’ Space Travellers was recently sold at auction for £3.2m. 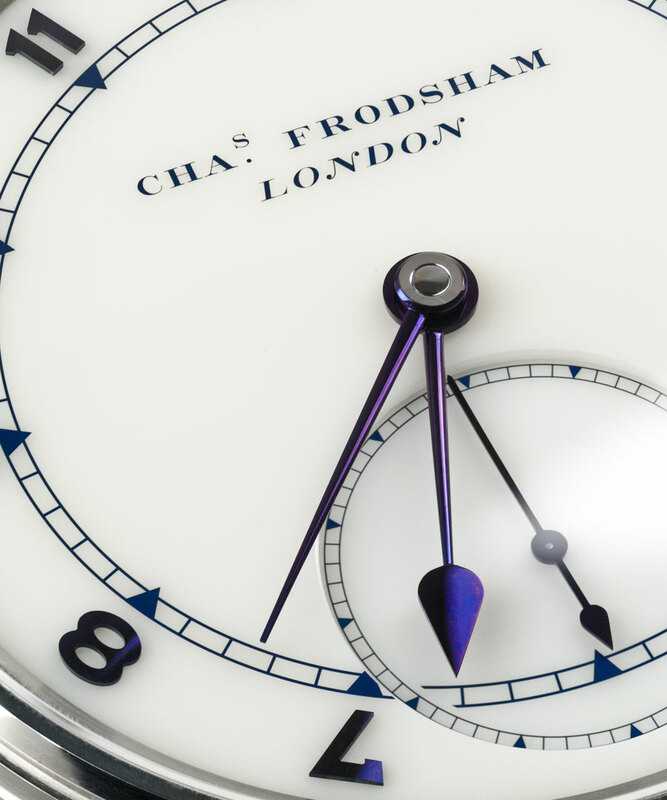 a new record for a British watch. 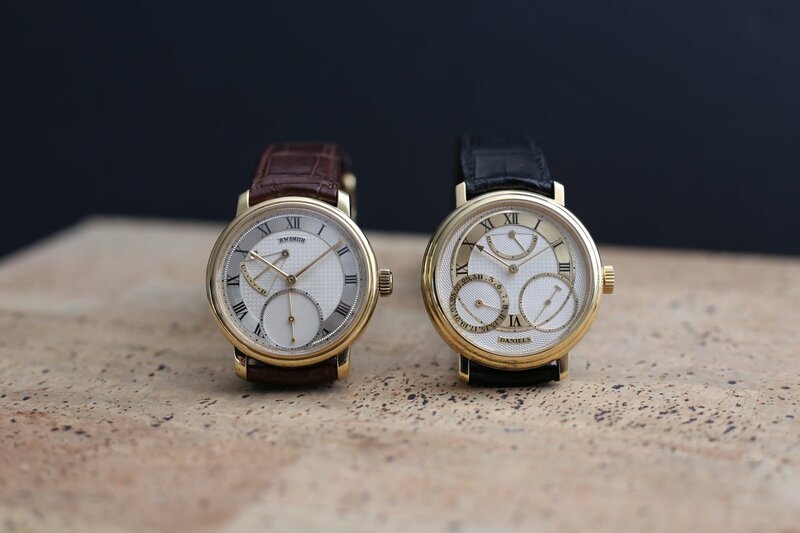 Over the next couple of months not one but two George Daniels watches are being auctioned at Sothebys. 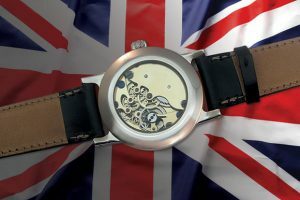 The first being a Millenium Watch that will be auctioned on April 25th. 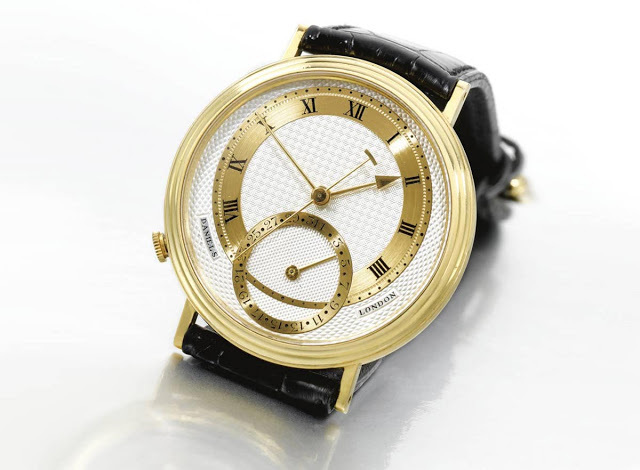 The second watch will be on sale on July 6th it is a gold tourbillon chronometer. 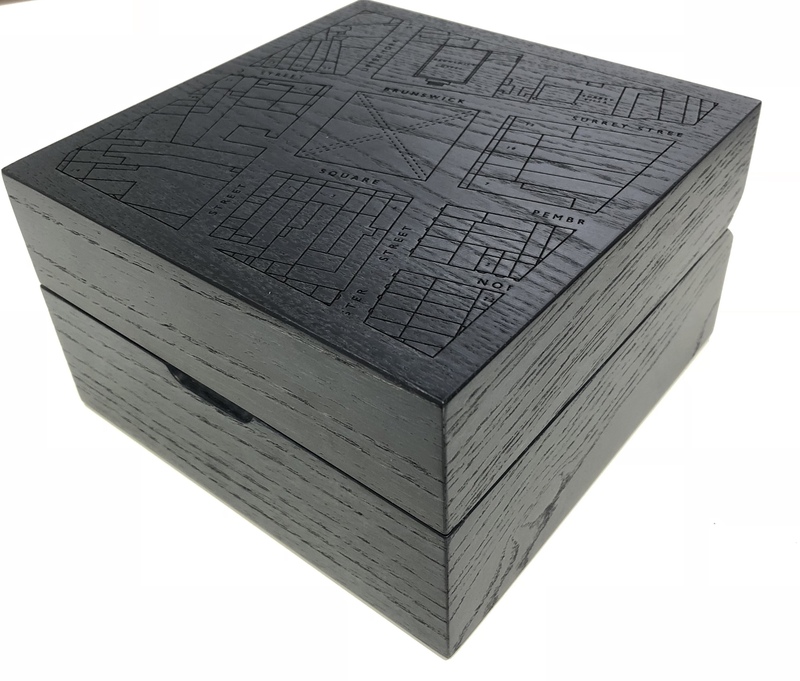 George Daniels have consistently achieved amazingly high prices. 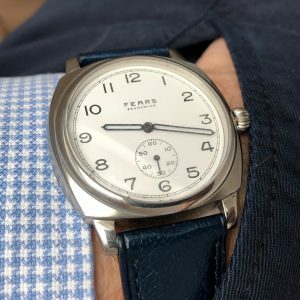 Given the state of the watch market recently it will be interesting to see if this continues. 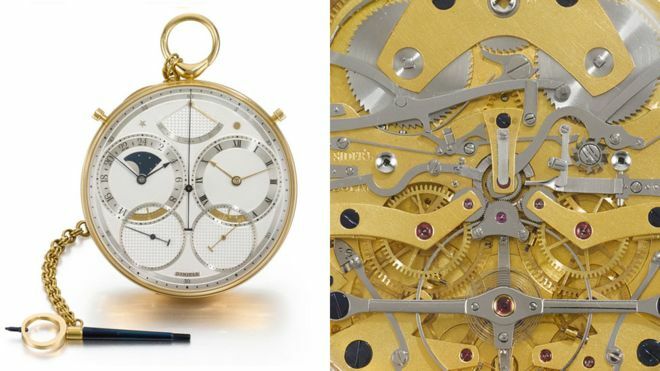 Yours for £120,000: a slice of British watchmaking history, with the very first example of Roger Smith’s landmark production wristwatch. New York is always very exciting. 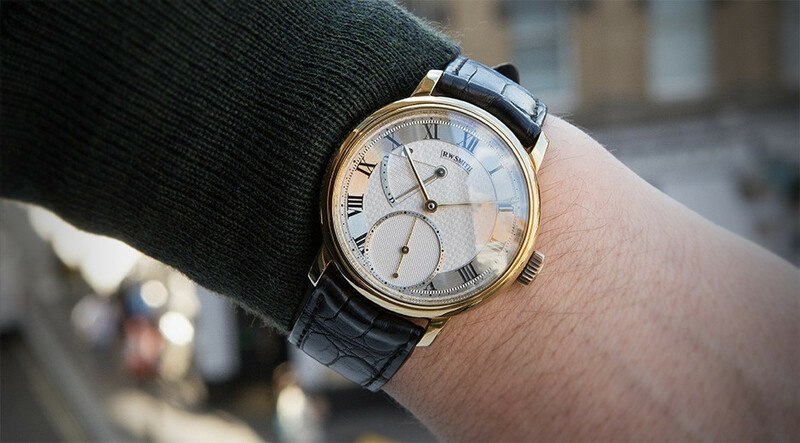 It’s a great city with a deep interest in horology. 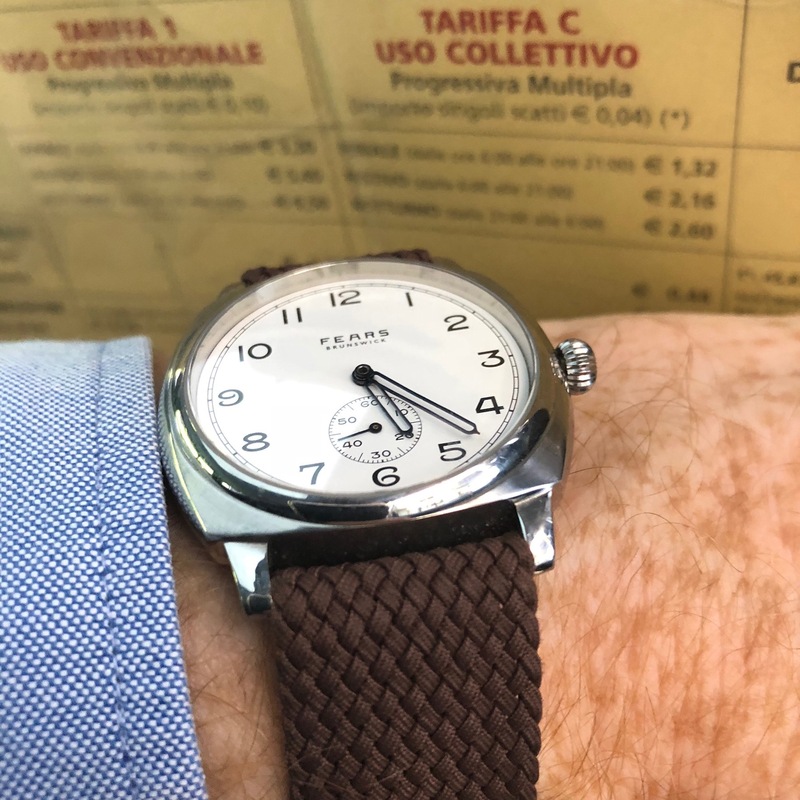 In fact the horological community there is growing and very knowledgeable, while the people I meet always seem to enthusiastic and very pleasant company! Yes it was – and they are doing important work, which is continually increasing the awareness and knowledge of watchmaking. We do. Both the East and West coasts are important for us and overall the USA probably accounts for a third of our business. I think that was partly why there was a great deal of interest in the Watchmaker’s Apprentice. It was! The cinema is actually quite iconic, being the home of the Tribeca Film Festival and the house was packed! 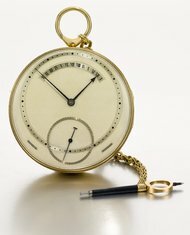 It’s marvelous to see so much interest for a film about watchmaking. It is particularly gratifying to see this for DAM Productions who made the film. It has been nearly four years since they filmed the interviews with George and myself here in the Isle of Man. 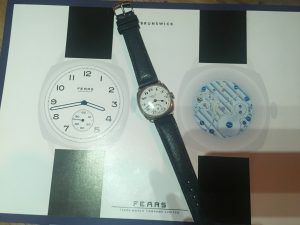 So to see them gain support from The Watch Club in London, to ensure the film was finished and to now see that faith fulfilled with sold-out screenings and international distribution is marvelous. Well, I think this comes back to the question of the faith of filmmakers. 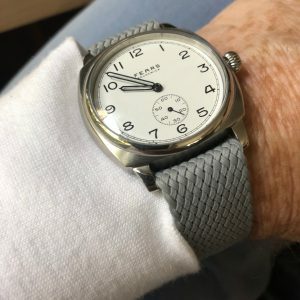 Tucked away in our studio in the Isle of Man, it is easy to forget that there is so much interest in watchmaking, and what we do, all over the world. As such, I was amazed that anyone would want to make a film about it! However, I think, clearly the fascination is with George Daniels and his story. George gave so few interviews and was a very private person (except when he was racing his Bentleys!) that for the production team to get his last words also gave them the chance to create a completely rounded narrative on his life and work, which in many respects makes it very complementary to Michael Clerizo’s excellent biography. I may be ‘The Watchmaker’s Apprentice’, but my story in the context of the film is only really the last chapter of George’s. Along with David Armstrong, the director, yes. 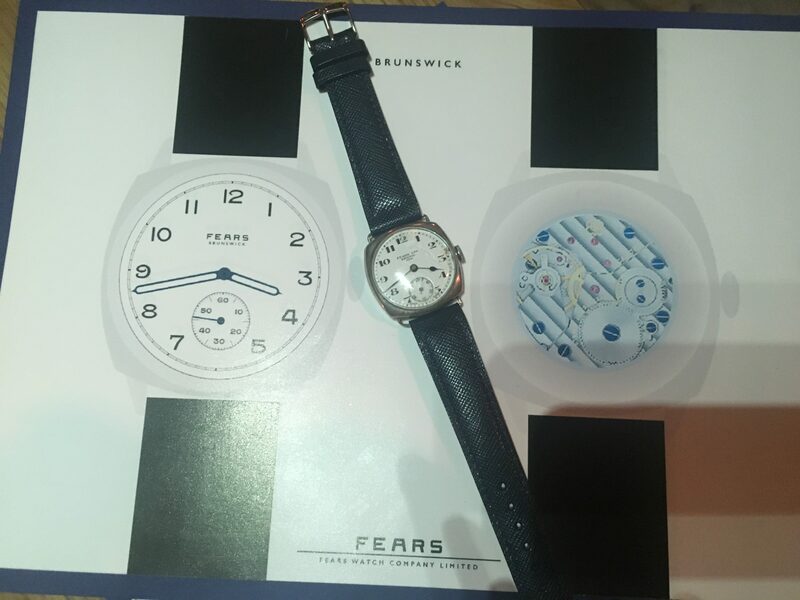 Being a horological audience, many of the questions picked up on various aspects of the story and there were also a number of anecdotes shared from the audience about George Daniels, which are always entertaining! It was also touching to hear how the film affected people and it was also very gratifying to meet so many young people with a passion for watchmaking! That too! I must say it was quite overwhelming the support I received and to hear about the similar issues faced by the watchmaking fraternity in the USA. 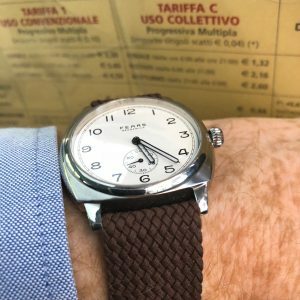 Since the letter was published by Hodinkee it has received huge support around the world and in particular the UK of course. It has also subsequently been quoted by others, and in forums, somewhat out of context. 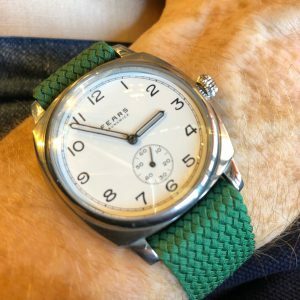 My issue is not and never has been a judgment on how people make watches, but purely about the honesty of their claims. The audience shared their own big concern about provenance in New York right now. They were telling me that some watch companies claim to make pieces locally, but in actual fact these might be dissembled foreign watches, which are reassembled on site and then passed off as having been ‘Made in New York’. This is the sort of thing I am talking about. I gather that the film is being represented for international sales by Amadeus Entertainment at the Cannes Film Festival right now and is being released in the UK on the 20th July by the distributor, Bulldog Film. It’s next stop on ‘tour’ is going to be at the School of Jewellery in Birmingham on the 26th May, where the film will be screened and there will be another Q&A session, with David Armstrong on which I will be a guest.